Poached eggs on avocado toast is a staple in my breakfast repertoire. What makes this breakfast meal particularly special for me is serving it on this pretty dish I purchased in Florence, Italy. I bought these dishes when we were in Florence several years ago. While Dave rested in our hotel, I used the free time to shop and went to a ceramics store recommended in this adorable shopping guidebook, The Civilized Shopper’s Guide to Florence by Louise Fili. The book is four inches square, so it’s easy to carry with you while exploring and shopping. Luckily I still have the book because I can not remember the name of the store, but I remember the inside clearly. There were tables and shelves of beautiful plates and ceramics, each more beautiful than the next. It was hard to decide what to purchase, although I was limited by my desire to take the items with me and not ship them home. I purchased four of these plates to use for small bites, snacks and sandwiches. They are bright, colorful and always bring a smile to my face, and they remind me of our wonderful trip to Florence. I also purchased four small bowls which are the perfect size for serving ice cream at home (unfortunately, while the bowls remind us of Florence, the ice cream is not the same as the gelato we had in Italy). I recommend purchasing this book if you plan to visit Florence, and you like to shop! There are so many artisan shops listed here, and we also discovered a list of gelato cafes to visit. Those suggestions alone were worth the price of this book! Here’s the page for the ceramics store from the book – Sbigoli Terrecotte – I made notes! Normally I don’t like marking my books, but for this one, I decided to jot notes to help me remember which stores I visited and what I liked about each one. The book is divided into walks around different neighborhoods in Florence. Each walk includes a section on eating and drinking, and we used these suggestions to try different gelato shops. Vestri was one gelato cafe we particularly enjoyed (my notes in the book say, “Yummy!! I think best gelato we had.”). There is also an index by specialty in the back of the book, with categories such as Frames & Prints, Children, Linens, and Paper Goods, for example. Although ceramic plates are difficult to transport while traveling, I realized that I enjoy purchasing items to bring home that I need, rather than a random souvenir. I use these dishes and bowls every week, and it is nice to have a small reminder of our trip in our kitchen. Have you been to Florence? What special items did you bring home? Last summer, we traveled to London to celebrate Dave’s mom’s birthday. She had never visited before, and as it was always on her bucket list, we thought a trip London was a perfect way to celebrate. We spent a week dashing all over London, trying our best to see as many sites as possible. Since we were always on the go, our photos were quick snapshots. I wanted nicer photos that would be frame-worthy to remember our trip, so I turned to Flytographer. Flytographer is a vacation photography service with photographers that can be booked in 180 cities around the world. You schedule your shoot in advance, selecting a photographer in the city you are visiting, the length of your session, and a place to meet. The Flytographer shoot concierge works with you to determine what style of photos you like and what memories you hope to capture. Shoots packages begin at $250 for a half hour and 15 digital images. You can book longer sessions or work with Flytographer for a customized package. Flytographer’s shoot concierge coordinates all the details in advance and sends a confirmation email with your photographer’s name and contact information and your set meeting place before the shoot. You should arrive at the appointed meeting place ten minutes before the session to meet and discuss your session. Then, the fun begins! This was my fourth time for a Flytographer session. Dave and I first tried them in Buenos Aires, I tried them solo in Budapest, and then in April, I had another solo shoot in London with Dan. Since I enjoyed working with Dan, I requested him again for our session (you can see photos from the photographers available in each city online to decide which one might be the best match for your shoot). The Flytographer photographer takes a mix of candid and posed shots, and provides some direction along the way. We met Dan across the street from Big Ben, and walked along the bridge for some candid shots. It is a bit awkward at first, as you try to be natural yet you know that someone is taking your picture. But, as the time passed, we became more comfortable with the camera, and with Dan’s direction of us. We also chatted with Dan about the places we had visited and the ones we hoped to see soon, and he provided some tips and suggestions of what we should do. By the end of the session, you have a new friend that shares their local insights with you. What I love about Flytographer is that when you return from your trip, you receive an email with a link to the professional photos from your session ready to download (the number of photos depends on the package you book). I am always taking pictures when I travel, but usually it is of the place I am visiting, and I forget to include myself. Or, I will ask a fellow tourist to snap a photo. The pictures are nice, but nothing special. The Flytographer photos, since they are taken by a proper photographer, are so much more beautiful than the pictures we took ourselves. These photos capture both London and us in the best way – vibrant and not static. We were a bit reserved early in our session with the posed photo in front of Big Ben, and then as we grew more comfortable, we had fun popping out of the traditional red telephone booths. We laughed a lot; it was a great release from a day of sightseeing. During our session, there were some dark clouds threatening to shower us with rain that provided a nice backdrop for our photos of the London Eye. As we neared the end of our shoot, we all walked along the Thames while Dan continued ahead of us, turning around to capture some more candid photos. I am not sure what Dave is saying in these images, but I love the expressions on all of our faces. The last photo from our session was not planned. We were chatting about to part ways and I saw this Lamborghini coming down the street. Dave loves cars, so Dan quickly took this picture of Dave and the car in the background. Flytographer is a wonderful way to capture your vacation. If you have a special event – a birthday, anniversary, girls weekend away, or a proposal, Flytographer will work with you to create photos to remember forever. Flytographer gift cards are also available to purchase as a gift to be used at a later date. I can not recommend this service highly enough! If you would like to purchase a session, use this link to receive a $25 credit. Use #FlyFan when you book to receive the credit. Dan was so good even his selfie of all of us is better than any selfie I’ve taken! Dinner with a Race Car Driver: Nelson Piquet, Jr.
Me and Nelson Piquet, Jr. in Long Beach, California. What do you do when you have dinner with a race car driver? Ask them questions, lots of questions. Nelson currently races in the Formula E series for NextEV TCR – electric car racing through the streets of many of the top cities in the world – and as a driver in the FIA World Endurance Championship with Rebellion Racing. In the past he’s raced in GP2, Formula 1, Global Rallycross and the NASCAR trucks series. He’s also the son of three time Formula 1 world champion Nelson Piquet. As you might imagine, I had no shortage of questions! We met at Gladstone’s in Long Beach – right across the street from his hotel for the race weekend. Josh Skolfield was another contest winner, and Rebecca Banks and Emma Stoner from Nelson’s PR team joined the dinner as well. I thought there would be a huge group, but it was simply the five of us. Dinner with Nelson! L-R: Emma, Rebecca, Josh and me at Gladstone’s right after we ordered. I started asking Nelson questions after we ordered, and I continued peppering him with questions as we ate our dinner. I wanted to be sure I did not forget to ask anything. Nelson was very gracious and open, and he was willing to answer all of my questions – even the ones about the infamous incident at the Formula 1 Singapore Grand Prix in 2008. There’s a photographer that takes pictures of your table at Gladstone’s and then sells you this montage. It was interesting to hear about the life of a race car driver – never staying in one place for too long as there’s always a promotional appearance, another race, or testing to attend. He said home is his suitcase. I asked Nelson which series he enjoyed racing the most, and was surprised that he enjoyed the NASCAR trucks series so much. Nelson poses with me and Josh after dinner. Credit: Rebecca Banks. Some of the more interesting things that he shared with us include his regret that he didn’t continue racing in GP2 while he was a reserve driver for F1 in 2007. Since he was a reserve driver, he was sitting at the race tracks, not racing and it was a bit boring. He also regrets not remaining in Nascar Trucks for a third year as he instead jumped to the Nationwide series. He enjoyed Nascar and working with a radio spotter throughout the race. He said you need to have total trust with the spotter because they can see what is happening on the track, so when they tell you to make a move, you need to move. I asked him about this favorite tracks, and he immediately mentioned Macau, Silverstone and Monaco, saying that the more challenging the track, the more fun it is to race. He hopes to continue racing for as long as he is able and will consider his next steps once his racing career is finished. Nelson signed the Long Beach ePrix program for us. Nelson was not particularly optimistic about his chances in the Formula E season this year, and after winning the series first title last year, it has been a disappointment. Still though, I am following the series, and enjoyed attending the race in Long Beach (the cars make high pitch sounds but are very quiet – it’s a bit odd to see the open wheel cars zoom by without much sound!). I was excited to hear about his racing with the Rebellion team in the World Endurance Championship and the 24 Hours of Le Mans. His team mates are drivers Nick Heidfeld and Nicolas Prost. We attended Le Mans this year, and I managed to capture a quick selfie with Nelson during Scrutineering. He remembered meeting me in California and wondered what I was doing in France – watching Le Mans! Nelson being interviewed with his Rebellion Racing team mates during Le Mans scrutineering. It was raining quite a bit during the interviews. There was quite a large crowd for the two days of Scrutineering. After the cars were inspected, the team – drivers and crew – posed for an official team photo. I stood on my tip toes to capture this photo. It was very crowded! After posing for the photo, the crew pushed the car along the pathway, and the drivers stopped for photos and to sign autographs. That is when I was able to say hello to Nelson again and take a selfie! Nelson signs autographs for the fans at Le Mans. A selfie with Nelson during Le Mans scrutineering. The Rebellion team was the top private team in the LMP1 class at the race, and Nelson and his team mates were on the podium. The Le Mans 2016 podium. Nelson and his Rebellion Racing team mates Nick Heidfeld and Nicolas Prost are pictured on the podium at the far right for being the top private LMP1 team in the race. This weekend, he races for NextEV TCR in the last race of this year’s Formal E season, the London ePrix. You can help Nelson’s car receive an extra “boost” in the race by tweeting or tagging your Instagram photos with #NelsonPiquet, #Fanboost and #LondonePrix – once a day until race day (although since Nelson is not in a position to win the championship this year, he would probably would not mind if you gave your boost to another driver). Thank you for dinner Nelson. It was a pleasure meeting you, and I hope to see you again soon at a racetrack! You can follow Nelson on all his social medial channels: Facebook, Twitter and Instagram. Have you ever had dinner with a race car driver? Who would you want to meet? Let me know in the comments below. The 24 Hours of Le Mans is the most prestigious endurance car race in the world. Held in mid-June each year, to make the most of long summer days, the race draws hundreds of thousands of spectators to watch cars race around a track that in sections includes local streets in Le Mans, France, for a continuous 24 hours. We attended the 24 Hours of Le Mans in 2010 with a UK car club. The group stayed in a hotel north of Le Mans, and we used that as our home base for the days leading up to the race. We would car pool or taxi into town or the track to take part in that day’s pre-race activities, then return to our hotel for a multi-course gourmet French dinner. For the race itself, we watched the start and several hours of racing before returning to the hotel for dinner and a shortened night’s sleep. We awoke early on Sunday morning to make our way back to the track for the conclusion of the race. It was a fun experience, but we also knew that many people say the only way to experience Le Mans is to camp at the track so you can catch all of the action, moving around to different viewing points and watching the cars race as day turns to night and then back to day again. We decided to return to Le Mans this year when we heard that Ford was returning to Le Mans, marking the 50th Anniversary of when Ford raced at Le Mans and won. We not only decided to return to Le Mans, but we decided to return to Le Mans and camp. Knowing that it often rains during the race weekend and that the temperatures are cool (50 degrees Fahrenheit at night and in the mid 60s during the day), we were hesitant to commit to camping at the track. Dave’s friend suggested we join the camping area with the Audi Club of North America and Audi Club International. Since Dave is an ACNA member, we decided to try the camping experience, and we sent in a reservation for a camp spot. How do you camp at a race? Many people traveling from the UK, France and the rest of Europe bring supplies in their cars, or campers and RVs. We were traveling from the US, so we had to bring our gear in our checked luggage and that limited our options. We already own a small tent from the one time we camped at Sears Point (now Sonoma Raceway) in Northern California. But we didn’t have sleeping bags, sleeping mattresses, rain gear or any of the many other supplies that were recommended. While I was researching what to bring and what to expect, I discovered the Beer Mountain site which bills itself as the, “Home of the Le Mans Survival Guide.” A forum specifically for those traveling to camp at Le Mans, it has ratings on the various camping areas around the track as well as forums where all manner of questions and discussion threads are ongoing about what to bring, how to travel there, where to sit at the start, etc. I registered in order to participate in the forums and found the members very welcoming and knowledgeable. I also searched for blogs or articles written by those that had traveled to Le Mans and camped, and I started a Pinterest board to keep track of the sites I discovered. As we prepared to travel to France, we set up our tent, rolled out our new sleeping bags and “tested” them both outside and in the house. While I found a more compact sleeping bag, we decided to keep the Marmot bags we purchased on sale at REI that are rated for 45ºF. We opted for a basic sleeping mattress, and we are bringing painters plastic sheets to use as a tent footprint and also inside the tent in case there is a rain deluge. Taking photos to compare the sizes of the sleeping bags. This bag was much more compact but not rated as warm. The tent set up – it stands! We’re not sure how waterproof it is though. The sleeping bag in the tent. The tent will fit our two bags and not much else. I kept scouring the Beer Mountain site, visiting local sporting goods stores, searching on Amazon.com and talking to Dave’s friend Dave (who is also traveling to Le Mans and will camp with ACNA too) for the best supplies to purchase. Part of our dilemma is that we are not campers, so we had to weigh purchasing top quality gear that we might only use once versus the high cost of the gear versus keeping warm and dry and comfortable while camping for four nights. Dave testing the mummy-style sleeping bag by zipping it all the way to his head. While I was testing the sleeping bag, Koa and Lau Lau were very interested in what I was doing on the floor. Our friend Dave sent me the list of the gear he purchased, and I was especially interested in a small chair he found for $39.99. I ordered two; they are very light weight and are packed in a small carry bag. This will be nice to have at our campsite and also if we wander around to other viewing areas on the track during the race. This chair, once folded, fits into the small bag pictured here. It is very light weight. As I brought items home from the store, or as they arrived from shipping, we put them into my large suitcase, testing to see how everything would all fit together. Here you can see the two Thermarest sleeping pads, tent and two Marmot sleeping bags. This view shows one of the chair bags. In addition to the camping gear, I also purchased a rain jacket (on sale at Sports Chalet which is going out of business), rain pants, and waterproof hiking shoes. For our flight to Paris, we packed all the camping gear in my large suitcase and checked it as baggage. We each had a roller-bag to bring on the plane that contained our clothes and toiletries, and we each had a backpack, mainly for wallets, electronics and our camera. We arrived yesterday (Sunday) in Paris, picked up our rental car and drove straight to Le Mans for scrutineering (the cars are inspected for technical requirements for the race). The weather was alternating between pouring rain and gray skies with brief periods of sunshine. It provided a good idea for what to expect as the weather report for the remainder of the week is similar – temperature highs in the 60ºs F to lows in the 50ºs F with rain showers on and off all day. We are staying in hotels this week until Thursday when the campsites open for the race, and then we will see if we made the right decisions in what to bring with us! To follow along as we capture the race activities in Le Mans this week, you can see my social media posts with the hashtag #KRLeMans on Twitter and Instagram. The official hashtag for the race itself is #LeMans24. If you have attended the 24 Hours of Le Mans before, or have tips on what to bring for camping trips, please let me know in the comments below. I am leaving today for Athens and Greece, enjoying a quick return to the city I have only visited once, many years ago. It is a one night stay before taking an overnight ferry to Crete to join a week-long road trip in Crete hosted by the Travel Massive Crete chapter. My only previous trip to Greece was in 2004 and hardly can be described as a visit. I arrived in Athens, met with our group for a half-day tour of the city, and then we embarked on a cruise that left for Croatia. We were quickly taken to see some sights – the base of the Acropolis, a changing of the guards, the original Olympic stadium – and then we were off on our cruise. I am looking forward to spending a full day in Athens. My friend Kat and I will take an Athens Urban Adventures tour – actually we’ll be getting a combination of their Taste of Athens and Markets and Ruins and Ancient Athens tours that Rebecca from the Travel Massive group coordinated for us. In the early evening, we will embark on an overnight ferry to Chania, Crete, to join the Travel Massive Road Trip. You can follow along on social media as I travel – the road trip will use the hashtag #Crete4Seasons and all of my tweets and Instagram posts will also use the #KRGreece hashtag. We will be exploring Crete from May 6 – 14, and the itinerary that Rebecca sent us has me excited to participate! After the Travel Massive itinerary is complete, I plan to spend another day or so in Crete, then travel to Santorini for a night or two before returning home. Have you visited Athens? Or Crete? Or Santorini? What do you suggest I do and see? The Panathenaic Stadium in Athens, site of original Olympic competitions, it was rebuilt in the late 1800s. In 2004, it served as the site for the Archery competition for the Athens Olympic Games as well as the finish line for the marathon. Changing of the guards at the Presidential palace in Athens. Leaving Athens on my cruise in 2004. Sorting through my photos from my day trip to Belfast, Northern Ireland, a year ago, I found this image of The Garrick bar on the corner of Chicester and Montgomery Streets in Belfast. The Garrick pub on Montgomery Street, Belfast. I was rushing back from visiting the Titanic Museum, trying to find a bite to eat in the city center before I caught the last train back to Dublin. Leaving the museum, I asked for walking directions back to the city and recommendations on where to eat. The very friendly woman at the museum provided a few suggestions, one being a great place for Mexican burritos. I wonder if it was the shop right behind the street light that she suggested? I did walk up to the window of a burrito place, peeked inside, remembered that I live in California and can have excellent Mexican or Cal-Mex food every day at home, and moved on to the next item on my list – sampling Short Cross Gin. That isn’t available in California! My friend Mrs. O Around the World had suggested Short Cross, and as Mrs. O is a fellow gin lover, I needed to listen to her advice. I saw The Garrick and decided to stop in for a gin and tonic. I did not have much time before my train, as the walk back from the Titanic Museum took some time as I enjoyed the late afternoon sun after experiencing a rainy start to the day. I went inside The Garrick and asked the bartender if they carried Shortcross – they did – and in short order I was drinking Shortcross Gin, “Northern Ireland’s first premium craft gin,” per the Shortcross website. It did not disappoint! Shortcross Gin and tonic at The Garrick, Belfast. (Note the top of my head in the center of the mirror). “A nation that keeps one eye on the past is wise. A sentiment we should all keep in mind, but particularly apt, perhaps, for Belfast and Northern Ireland. In searching for the source of the quote today, which seems to be unknown, I came across this post from David Ross, who visited Belfast again in July after twenty years away. He provides an interesting perspective of what visiting Belfast was like during, “the troubles,” assuming you would visit, which many people did not, and what the city is like today, when he returned. While I do not have his perspective, I do hope that I can return to Belfast, and Northern Ireland, and spend longer than a too-short day-trip exploring. A visit to the Short Cross Gin distillery would definitely be in order! Note: I traveled to Ireland with Brendan Vacations, but my day-trip to Belfast was planned and paid for by me. My Uncle Terry from Colorado visited our family in Southern California after Christmas this year. During his visit, he asked if I chronicled my many journeys around the world. While I keep track of places that I’ve visited, I have not yet put pen to paper (or fingers to keyboard), to capture most of the truly memorable moments of my journeys. Starting this blog was my attempt to do just that. Today I look back on the first blog post I wrote for the Penn Alumni blog, Frankly Penn. 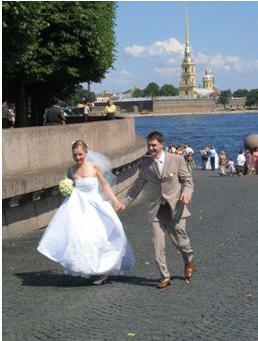 It was about the Baltic Cruise I took in 2005 – it is hard to believe that it was ten years ago. I shared one of my most memorable travel experiences – visiting a Russian Orthodox church service with my friend Christel. Reading about it again transports me to that church, and the sights, the sounds and the smells we experienced. It reminds me of why I travel, and why I continue to want to explore more of our amazing world and learn about the people that live here. I hope you enjoy it! This post was originally published on the Frankly Penn blog on April 22, 2011. As the Director of Penn Alumni Travel, I have been fortunate to see much of the world, traveling with fellow Penn Alumni and friends on Penn Alumni Travel programs. While the sites we see are often iconic, sometimes, it’s the stolen moments of unexpected serendipity that stay in your memory and make each trip special. 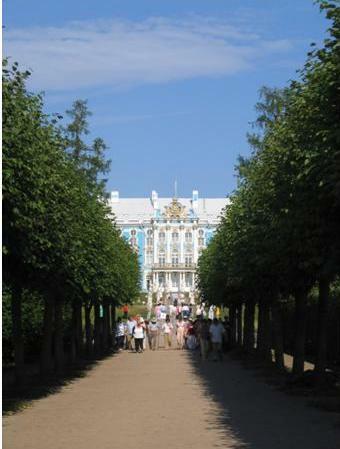 In the summer of 2005, we were on the Historic Countries of the Baltic cruise. The itinerary included stops in Gdansk, Poland, several former Soviet republics – Estonia, Latvia, and Lithuania, as well as St. Petersburg, Helsinki, Copenhagen and Stockholm. It was a wonderful trip – a small ship with 100 passengers from various institutions around the U.S., including Penn. Everyone seemed to get along well, no matter your alma mater. I still remember climbing to the top deck late one night (with the infamous white nights of summer, dusk started around 11 p.m.) to find a few of the Penn travelers sharing Cuban cigars with alumni from LSU. 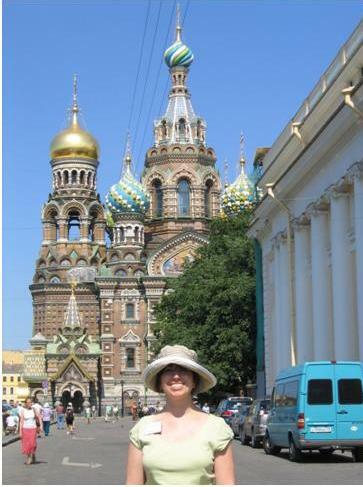 I had never been to Russia before, so arriving in St. Petersburg was fascinating. It was hot, and humid, and the city just shimmered. Since our ship was small, we were able to dock relatively close to the central part of the city. 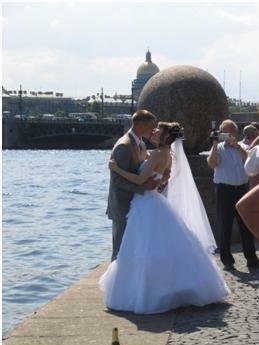 As we took a bus to tour the major sites, there were young brides and grooms everywhere, taking photos against the city’s landmarks. Everyone seemed to smile when we saw another pair of newlyweds. 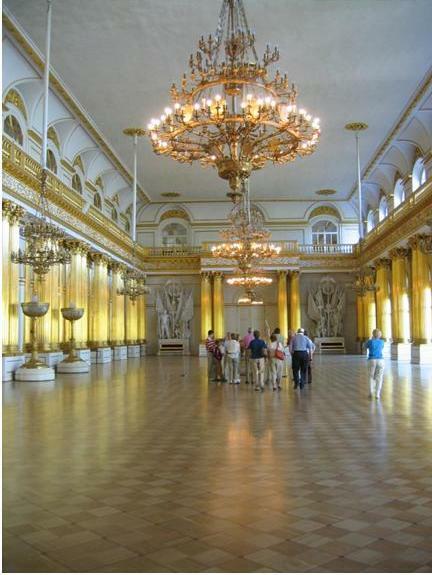 We toured the Peter and Paul Fortress, visiting the tombs of the czar and his family. We had an early morning tour of the Hermitage– the architectural details of the building itself were amazing, not to mention the vast art collection. 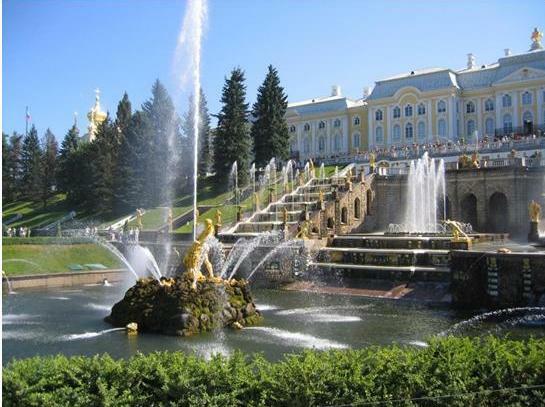 We traveled outside the city, visting Petrodvorets, (Peterhof Palace), which lived up to its reputation as being the “Russian Versailles”, and Catherine’s palace, Tsarskoe Selo,, walking through the recently restored Amber Room (no photos allowed). En route, it was fascinating to see the Soviet architecture – such beautiful palaces and museums from long ago contrasted with the blocky modern buildings of the former USSR. All these sites were amazing to see, but it was something I experienced not on the itinerary that remains lodged in my memory. 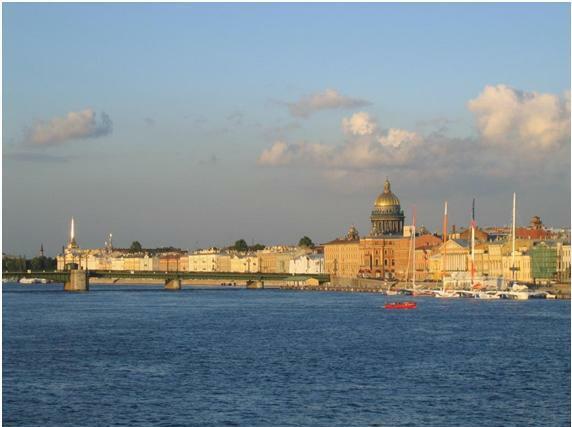 The cruise director on our ship had lived in Russia for several years, and she shared tips about St. Petersburg with the passengers – where to have lunch, what to do if encountering gypsies, and suggestions for places to visit, including a Russian Orthodox church service. Intrigued, I decided to visit the church not far from where our ship docked. Christel Pailet, Director of UCLA’s travel program, decided to join me. The cruise director informed us that orthodox services go on for hours, so she said we could stop in, stay as long as we liked and leave on our own timeline. She also recommended that we cover our heads and shoulders. We brought along a shawl and set out – about a 10 minute walk from our ship. 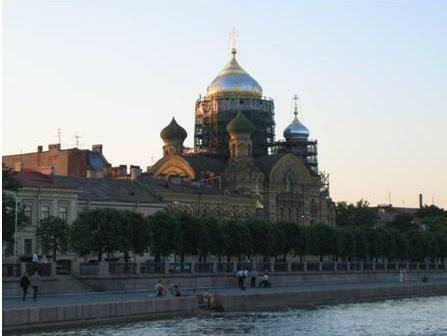 From the outside, Russian Orthodox churches are beautiful and massive. Inside, this church seemed small and intimate. It was dark, with only minimal light streaming through small windows. There were maybe 15-20 people inside. There were no pews so everyone stood. There was chanting coming from above, from monks or priests we couldn’t see. It seemed like the chants were coming from the heavens. Every once in a while, the worshippers would bend over and touch the floor with their hands. Christel and I stood in wonder, watching, listening, not understanding anything being said or chanted but transfixed by the spirituality of the service. Then, we noticed what we assumed to be a priest. He was standing slightly off center on the ground level. He was speaking in hushed tones with a woman who was clearly upset. Tears were streaming down her face. He seemed to be comforting her, or maybe it was a confessional, we could only guess. Then, he would stop speaking to her, say some words aloud for the service, and resume speaking with her. After about twenty minutes we left, fascinated by what we had witnessed. We wondered why this woman was so upset and what the priest was telling her for comfort. Other worshippers came and went while we stood and watched. When I saw Christel recently, she said it was one of her most memorable travel experiences. I couldn’t agree more. This year, Penn Alumni Travel is visiting the Baltics again. I look forward to visiting these countries as I join the Penn travelers on the May 31 departure. Two famous historical figures will come aboard the ship for lectures – Lech Walesa and Mikhail Gorbachev. Plans are underway to repeat this trip next year, and as these departures sold out very quickly, you should make your reservations early! View more photos from Penn Alumni travel here. Originally published on the Frankly Penn blog on April 22, 2011.